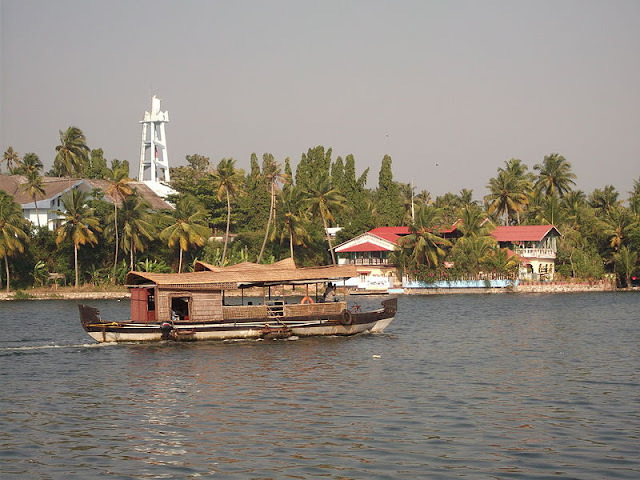 Kollam, is an old seaport and city on the Laccadive Sea coast of Kerala, India. The city life of Kollam has changed greatly in the last previous decade. In terms of economic performance and per capita income, Kollam city is in 5th position from India and third in Kerala. 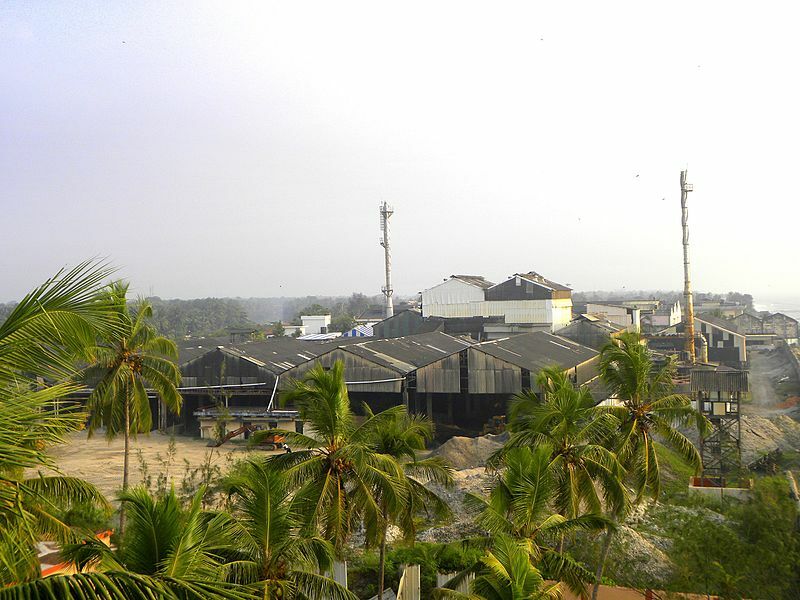 Kollam is famous as a city with excellent export background. 5 star, 4 star and 3 star hotels, multi-storied shopping malls, branded jewelleries, textile showrooms and car showrooms have started operations in the city and suburbs. Kollam was the third city in Kerala (after Kozhikode and Kochi) to adopt the shopping mall culture. Kollam district ranks first in livestock wealth in the state. Downtown Kollam is the main CBD of Kollam city. Dairy farming is fairly well developed. Also there is a chilling plant in the city. Kollam is an important maritime and port city of the state. Fishing has a prominent place in the economy of the district. Neendakara and Sakthikulangara villages in the suburbs of the city have thriving fisheries. An estimated 134,973 persons are engaged in fishing and allied activities. Cheriazheekkal, Alappad, Pandarathuruthu, Puthenthura, Neendakara, Thangasseri, Eravipuram and Paravur are eight of the 26 important fishing villages. There are 24 inland fishing villages also. Recognizing the unique location and infrastructure available, the Government has initiated steps for establishing a fishing harbour at Neendakara which is expected to increase fish production by 15%. Average fish landing is estimated at 85,275 tonnes per year. One-third of the state's fish catch is from Kollam. Nearly 3000 mechanised boats are operating from the fishing harbour. FFDA and VFFDA promote fresh water fish culture and prawn farming respectively. A model fishing village with 100 houses is being built at Eravipuram. A model prawn farm is being built at Ayiramthengu, and several new hatcheries are also planned to cater to the needs of the aquaculturists. Kerala's only turkey farm and a regional poultry farm are at Kureepuzha. The city corporation of Kollam is served by the Trivandrum International Airport, which is about 56 kilometers from the city. Trivandrum International Airport is the first international airport in a non-metro city in India. and the only airport in Kerala having more than 2 Terminals. Daily domestic flight services are available such major cities as Mumbai, Chennai, Delhi, Bangalore and Kochi. International flight services connecting to Sharjah, Dubai, Abu Dhabi, Bahrain, Kuwait, Muscat, Malé, Doha, Singapore and Colombo are available from here. However, Kollam Airport at Asramam was the first aerodrome in Kerala. The first flight to Kerala landed here. Now the old airport area is serving as a twin-helipad of the city, which is about 1 km away from the city center.The first Amphibian Aircraft (Seaplane) of Kerala also landed in Kollam. Kollam Junction is the second largest railway station in Kerala in area, after Shornur Junction, with a total of 6 platforms. Kollam also boasts the second longest railway platform in the world, which is more than 1 km long. The total length of Kollam Junction's PF-3 and 4 combined is around 1180 meters, which is more than the length of the longest existing platform in the world (Kharagpur – 1072.5 meters), but the length of the PF-3 side is about 900 m, while the PF-4 side is about 880 m. In a single stretch the total length is 1180 m.
Apart from all these transportation services,if you want to get or deliver your goods by road then for that many freight carriage company are developing and they provides a good freight carriage and logistics services ( both offline and online booking available ) ,which helps in the delivery of goods across various destinations and safe Logistics Services .With growing digital world , now you can book these services online using various websites like GoodsOnMove which provide you a simple and easy booking service and saves your time and money. No Comment to " KOLLAM - Industrial Development Post Independnce "